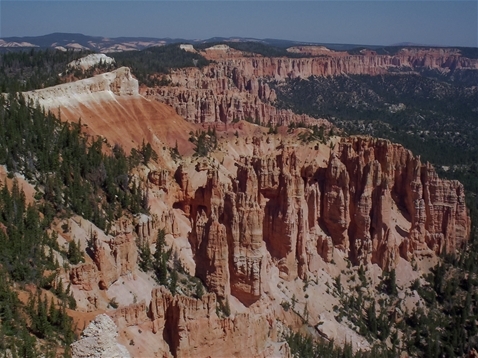 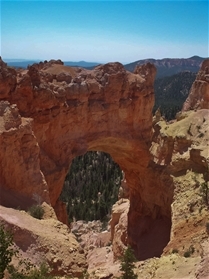 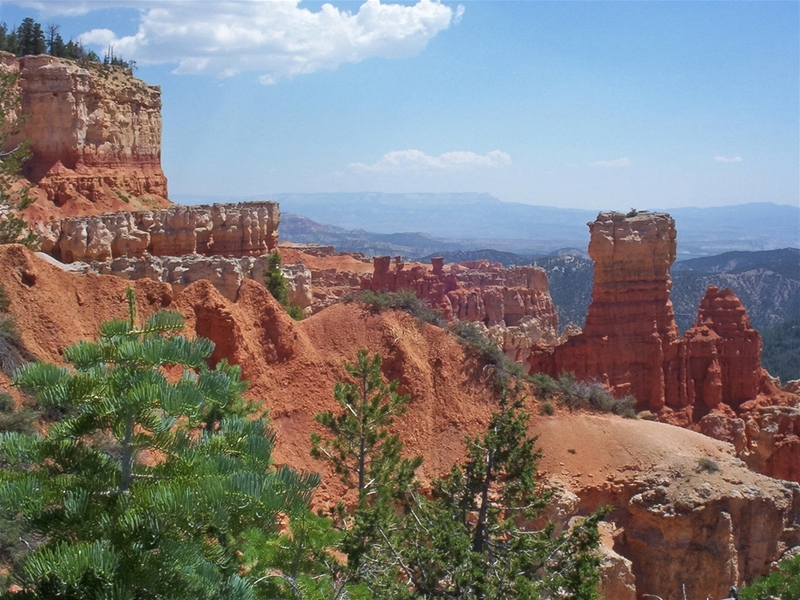 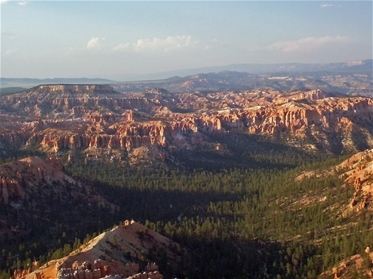 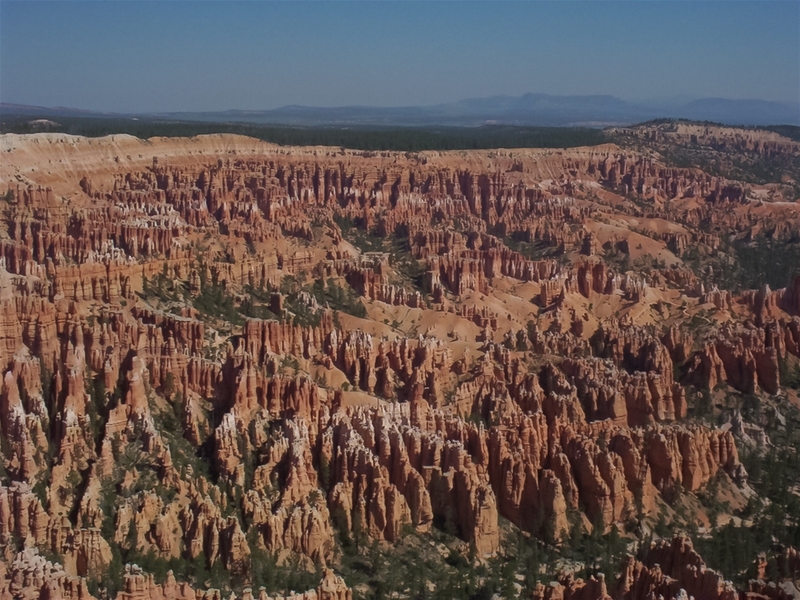 Bryce Canyon NP is a stunning collection of colorful pink and red hoodoos. 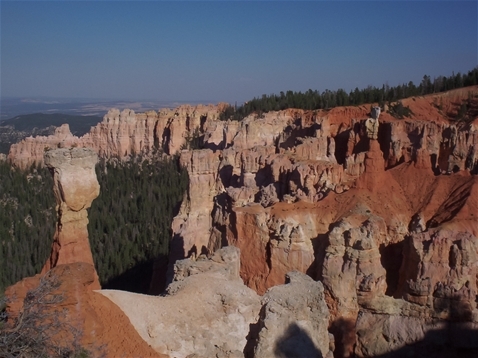 These have eroded away from the walls of the amphitheaters into very interesting and unusual formations. Most of the scenic views are from the overlooks road above the formations, but several hiking trails take you up close and personal to the hoodoos. The park is at a very high elevation of over 8-9000 feet, so the weather is pleasant, even in the summer.